HomeUncharted: The Lost Legacy[Uncharted: The Lost Legacy] New iPhone Stickers Now Available! [Uncharted: The Lost Legacy] New iPhone Stickers Now Available! This page contains details about the new Uncharted: The Lost Legacy stickers released for iPhone. 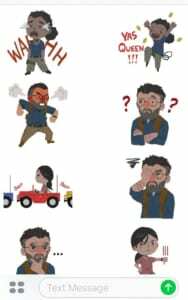 With the nearing release of Uncharted: The Lost Legacy, Naughty Dog has released a sticker set for iPhone devices that you can use in messages. 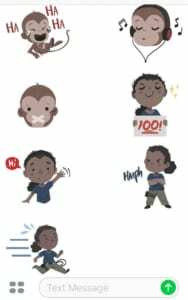 The stickers will make your conversations with friends and loved ones much more exciting, especially if you are the one you are talking to are fans of the Uncharted franchise. These were drawn by Janice Chu, an artist who works as a UI artist and illustrator for Naughty Dog. Chu has also worked on The Lego Movie 2 and the upcoming game The Last of Us Part 2. 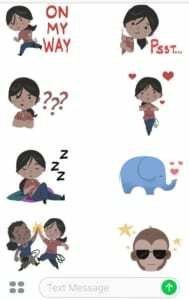 The sticker set is available on the Apple Store for free, so download it and share it with your friends to spread the word about Uncharted: The Lost Legacy which comes out on August 22, 2017 exclusively on Playstation 4.